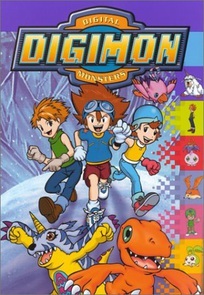 While the kids argue, Joe decides to climb a mountain by himself, but Gomamon follows him and soon they are both attacked by Unimon. Sora, Tai, and Birdramon come to their rescue, but a bigger surprise awaits them at the top of the mountain. When Leomon is made a slave, Devimon orders Leomon and Ogremon to attack the "DigiDestined." The kids and their Digimon escpe and hide in a luxury hotel, but when the hotel turns out to be a trick of Devimon's, the check out as fast as they can. When Tai and Agumon get marooned in Freeze Land, they encounter the snowman Yukidarumon, who leads them to another frozen island where they find Matt and Gabumon. But trouble heats up when they are attacked by Majamon.